After 15 years in the broadcasting industry, Cheryl Cosim finally won her first award as a news anchor for TV5’s flagship newscast AKSYON; while Ritz Azul’s acting debut in TV5 dramaserye Mga Nagbabagang Bulaklak earned her the Outstanding Breakthrough Performance by an Actress at the Golden Screen TV Awards held recently at Teatrino in Greenhills, San Juan City. The PLAN International child ambassador has already won several awards as public service host from reputable award-giving bodies—just recently at the 20th KBP Golden Dove Awards for Alagang Kapatid—but the time has come for Cheryl to be recognized as an Outstanding Female News Presenter; besting other veteran names in the industry such as Jessica Soho, Mel Tiangco, Vicky Morales, Kara David, Pia Archangel and Korina Sanchez who were also nominated in the same category. “It is an honor to be recognized for my work, considering the roster of anchors who have already been awarded in a similar category. I have always looked up to these veteran anchors and colleagues, and it is a privilege to join their ranks. This award inspires me not only to try to achieve what those before me have accomplished, but also to continue to improve my craft so as to better serve the viewing public. I’m grateful to TV5 for believing in me,” Cheryl said. Currently seen in Glamorosa, Ritz zooms up with an outstanding performance in Mga nagbabagang Bulaklak after placing fourth in the network’s star search Star Factor late last year. She was also the Amazing Female Newcomer at the 2011 Yahoo! OMG! Awards. Meanwhile, Journo’s episode tackling the burial for ousted dictator Ferdinand Marcos won the program the Outstanding News Magazine Program award and NEWS5 chief Luchi Cruz-Valdes the Outstanding News Magazine Program Host. The longest-running and multi-awarded iconic children’s program Batibot—now on its third season on TV5—bagged the Outstanding Educational Program category. The Philippines’ biggest talent show Talentadong Pinoy was proven also the most awarded as it clinched the Outstanding Original Reality Competition Program and Outstanding Original Reality Competition Program Host for Ryan Agoncillo. The show was also recently recognized by the PMPC Star Awards, KBP Golden Dove Awards and the Catholic Mass Media Awards. It will compete at the Asian TV Awards in Singapore on December 8 under the Best General Entertainment category. 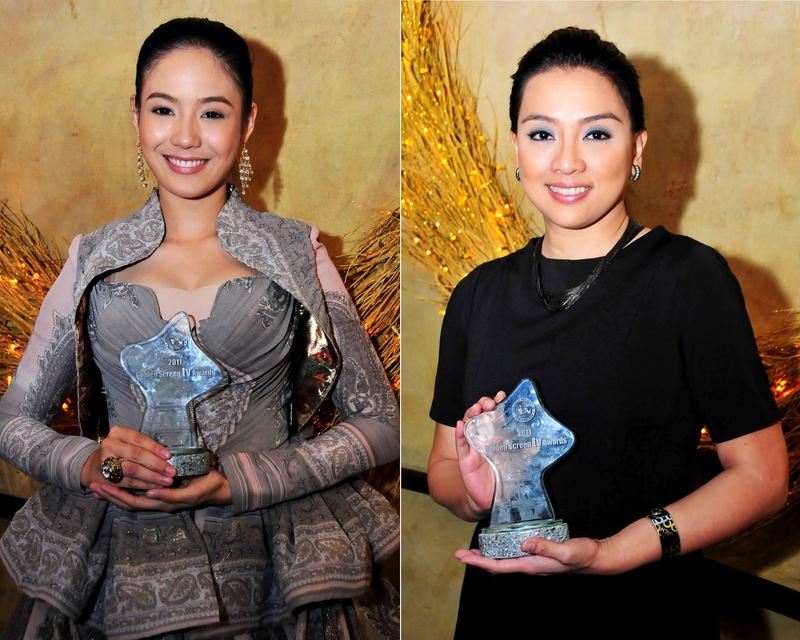 Megastar Sharon Cuneta—the newest addition to TV5’s growing family of the biggest and brightest names on Philippine TV—won the Outstanding Lifestyle Program Host; while Glamorosa lead star and Grand Slam actress Lorna Tolentino bagged the Outstanding Performance by an Actress in a Drama Series.